Oleg Shevkun, head editor of the online radio station of the All-Russia Society for the Blind (VOS), was fired after making comments on the air about the unlawfulness of incorporating Crimea. “I think that, from the viewpoint of international law, the incorporation of Crimea was unlawful. And the countries that responded to it with sanctions are right. We got Crimea along with isolation from the rest of the world,” Shevkun said on the air. The VOS confirmed to Yod that Shevkun had not worked since late September: he had resigned voluntarily. Shevkun, who is wholly visually impaired, told Yod about his firing and what he planned to do next. Why did you start talking about the incorporation of Crimea on Radio VOS, which, according to its website, is engaged in “covering all aspects of the life, work, and adaptation of people with visual impairments”? We have tried to stay away from politics on our radio station, but it turns out to be impossible. From September 14 to September 20, the VOS held a big festival entitled “Crimean Autumn.” The point of the festival was to gather the visually impaired people of Crimea and pass on the VOS’s know-how to them. Radio VOS was involved in the festival, and on the eve of the festival we got a question from a listener in Ukraine while we were on air: “Are you going to Crimea for reasons of conscience or because your job requires it?” I could have left the question unanswered, but I am used to speaking sincerely with people. I said that my conscience did not bother me, but that I considered the incorporation [prisoedinenie] unlawful from the viewpoint of international law, and was surprised how Crimea had become part of Russia. And that I was even more surprised that this idea had been supported by the residents of Crimea. Then I added that we were going to visit people who had supported this business, and we had something to offer them. So you did not use the word “annexation” [anneksiia]? No, I think I answered the listener’s question politically correctly. The head editor had to voice his own position on Crimea. And this was what I did. I should note that no one who called into the studio during this program disputed the unlawfulness of Crimea’s incorporation into Russia. Listeners said, Well, what of it? America breaks the law, too. If it is going to be “Well, what of it?” then we will be living by the laws of the jungle. Mom taught me not to steal, the Bible says, “Thou shalt not steal,” and in contentious situations you have to negotiate. What happened after this broadcast? At the festival in Crimea, one of the participants asked Alexander Neumyvakin, the president of the VOS, why management was not monitoring the content of programs on Radio VOS. Neumyvakin said there are different opinions, but the program was soon deleted from the archive. Vladimir Bazhenov, director general of the VOS cultural and sports rehabilitation complex, told me I would be fired after the festival. How did he explain this decision? The radio station survives on subsidies from the state. If the higher-ups find out we have been criticizing Crimea’s incorporation, blind people will end up out of work and without rehabilitation. Do you think he was expressing his own fears or did he get a signal from higher up? Bazhenov told me the Ministry of Foreign Affairs knew about what I had said about Crimea. But I think he was playing it safe. During the following program [at the festival], the blind people of Crimea said they had been shocked by what the head editor of Radio VOS had said, and had welcomed the “little green men” like family. In the evening, at the banquet celebrating the end of the festival, after one of the toasts it was announced that among us there was a certain person . . . Basically, he no longer worked at Radio VOS. And they called my name. I was asked to publicly renounce my beliefs; then, maybe, I could keep my job. I refused to refute my personal opinion. Bazhenov replied that, if that was the case, I should either resign voluntarily or they would fire me for cause and I would never be able to get a job again. I was not allowed to host my programs, for example, a talk show about new technologies for visually impaired people. We took second place with this talk show at a competition for radio programs in the Central Federal District. I used to think that such situations happened only in Alexander Solzhenitsyn’s books. How did your colleagues react to your dismissal? Did they try and defend you? My colleagues were told I had said on air that Crimea had been annexed, although this was not the case. There was a co-presenter with her own position and two listeners on the program in which we discussed Crimea. Everyone voiced different opinions, as should be the case when an important topic is discussed. The management objected: what had been acceptable two years was now impossible, and I should have sensed which way the wind was blowing. I don’t know how to trim my sails to the wind. If I follow the wind all the time, what will be left of me? Had you made any political statements on the air earlier? 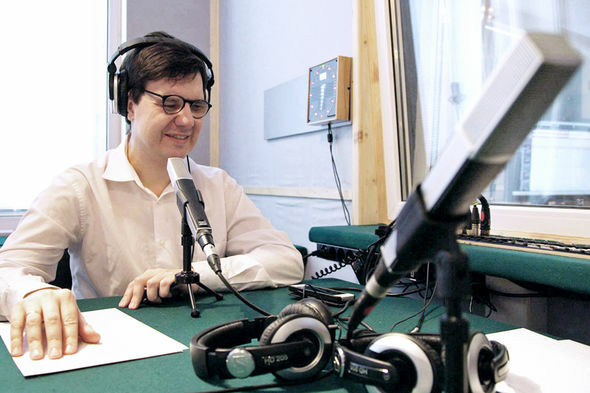 When Russia’s isolation from the world began, we did the program “Navigator,” about the lives of blind people around the world, and we established a partnership with a radio station for blind people in Great Britain. We did a big interview with Seva Novgorodsev and Dina Rubina. We have tried to remain open despite the trends in society. We did programs with blind Ukrainian people, and they talked about what had changed for the better for them after the change of regime. “Crimea is ours” [Krymnash] was also in our programs. For example, I did an interview with Sergei Aksyonov, the head of Crimea. Why was it necessary to write and distribute a text like that? After my firing, listeners were outraged and asked questions. The text explained to them who I was. The text also says that “under your leadership, Radio VOS really became a ‘ray of light’ for many blind people.” Tell us how you got the job of head editor at Radio VOS and what you accomplished during your time in the post. I was a pastor in the Evangelical Church, taught, and always dreamed of working on the radio. In 2011, VOS Radio was founded, and I began doing a show there on technologies for the blind. The ratings went up. In 2013, I was offered the job of head editor. Under my leadership, the team managed to increase our listenership by several times. We have a great team consisting of ten professionals, both sighted and visually impaired people. I am certain they will go on working at a high level. We have won prizes at different festivals where such famous radio stations as Echo of Moscow and Radio Russia were involved. Many new programs have come on the air, for example, a program about how blind people can solve everyday problems. On the show “Student Council,” students talked about how blind people should behave in a university cafeteria and adapt to life in a dormitory. We broadcast music by visually impaired musicians. It was very important to us to establish a dialogue with our listeners. For example, blind people sit at home and need to break out of this isolation. The presenters give them the opportunity to call on the air; they guide them through the discussion, support them, and inspire them. For example, a man calls on the air and says he hesitates to use a white cane. The presenter asks him which is more shameful, to go out carrying a white cane or stay put at home. The man finally agrees he should get out of the house. Or, for example, we had a blind man from Yekaterinburg, Oleg Kolpashchikov, who sails, on the air. He and his crew of blind people have traveled nearly around the world. Kolpashchikov talked about what it had been like when he lost his sight. He is even glad to be blind now, because it is disgusting to have to look at some people’s faces. He said all this in a pleasant bass voice, calmly, easily, positively. Maybe he said it crudely, but such words give confidence to people who have recently gone blind. So you almost never discussed sociopolitical topics on the air? Do you regret you expressed your opinion about the incorporation of Crimea and lost your beloved job? The director general said he had not been happy with my political position for a long time. I did not hide my political views. For example, I came to work wearing a “I am praying for Ukraine” ribbon. My dismissal was a matter of time. I grew up on Radio Svoboda and Echo of Moscow, and cannot quickly cave in to a fickle world. The pensions of working pensioners will not be indexed for inflation. Olga Batalina, head of the State Duma’s Committee on Labor, Social Policy and Veterans Affairs, made the announcement on Twitter. She noted that all working pensioners would continue to receive payments, but the payments would not be raised while they are employed. “You quit work, indexation kicks in again,” added Batalina. Earlier, on October 9, she announced that the government had to decided index pensions twice in 2016. Batalina explained this would be done so that pensions would increase to the level of inflation for 2015. On October 8, however, Deputy Prime Minister Igor Shuvalov noted that the possibility of a second indexation next year would depend on the Russian economy’s growth. On the same day, the government approved the draft budget for 2016. It is expected that revenues will reach 13.58 trillion rubles, expenditures, 15.76 trillion. The deficit is projected at 2.8 percent of GDP (2.18 trillion rubles). A part of the treasury’s expenditures will be covered by a freeze on pension savings. Another cost-saving measure is reducing the indexation of pensions (to 4 percent at an expected inflation rate of 12 percent). Moreover, the idea of terminating pension payments to working pensioners was considered. Russia’s economic crisis is forcing the government to consider sweeping savings on pension payouts, a move that could go down badly with a core part of President Vladimir Putin’s electorate. The Finance Ministry this week floated a proposal to save more than 2.5 trillion rubles ($46 billion) over three years by raising pensions at less than the rate of inflation. The measure comes as the ministry struggles to slash spending amid an economic recession that is eroding budget revenues. A steep devaluation of the ruble has meant that prices have grown much faster over the past year than salaries, and since payroll taxes are the main source of income for the pension system, the Finance Ministry has said continuation of inflation-linked pensions could threaten the country’s state-run pension fund. In May, average nominal incomes were 7.3 percent higher than in May 2014, while prices were on average 15.8 percent higher, according to the Rosstat state statistics service. “If the income of the fund continues to grow slower than its payouts, it could break the entire pension system,” the Vedomosti newspaper quoted Deputy Finance Minister Maxim Oreshkin as saying last month. The government is already subsidizing a 3.3 trillion ruble ($60 billion) hole in the pension fund, said Pavel Kudyukin, an associate professor at Moscow’s Higher School of Economics. “This is no longer affordable for the state,” he said. According to documents for a government meeting on Monday obtained by news agency RBC this week, the Finance Ministry has drawn up plans to curb planned pensions increases from 7 percent to 5.5 percent in 2016; from 6.3 percent to 4.5 percent in 2017 and from 5.1 percent to 4 percent in 2018. That means that payments will be increased not in the line with the actual inflation, which is expected to fall back into single digits early next year, but according to inflation forecasts made in early 2014, before Western sanctions over the Ukraine crisis and a sharp decline in global oil prices pushed Russia’s economy into recession. Russian GDP is expected to shrink by around 3 percent this year. These changes, together with cuts to some other undisclosed social spending items, would save around 2.5 trillion rubles over 2016-2018, RBC reported, citing the Finance Ministry documents. The government has said no decision has yet been taken. The changes may require changes to legislation, which requires that Russian pensions are indexed twice a year in line with inflation. Spending on pensions has risen rapidly in recent years as President Putin has sought to use booming oil revenues to raise living standards of pensioners and low-paid state employees. Pensions were raised even in 2009, during Russia’s last economic crisis, Kudyukin said. 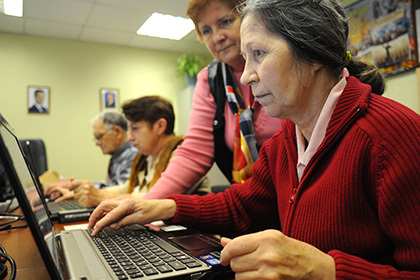 Russia’s roughly 40 million pensioners receive on average 12,900 rubles ($240) in state pension payouts, according to the data from Russia’s pension fund. The Finance Ministry’s proposal to abandon the link between pensions and inflation aroused sharp criticism from other ministries. Maxim Topilin, the labor minister, demanded that money be found for the indexation of pensions for next year and the following years and for an analysis of the effectiveness of spending, news agency RIA Novosti reported Tuesday. Analysts polled by the Moscow Times doubted that the measure would be implemented, as pensioners provide a bedrock of support for President Putin ahead of planned elections in 2018. Unwillingness to alienate voters is why another Finance Ministry proposal, to cut government expenses by increasing the retirement age of civil servants from 60 to 65 years, has little chance of approval, analysts said. Hiking the retirement age has been on the agenda for several years — the idea has been repeatedly promoted by former Finance Minister Alexei Kudrin — but has never gained traction. But even if the Finance Ministry succeeds in making savings on pensions, any discontent would not lead to dramatic political consequences, experts said. The move could cost Putin a few percentage points off his rating, but not dozens, Salin said. Putin could afford that — the president’s approval rating is at a record high of 89 percent, according to a poll by the Levada Center released Wednesday. Given the political apathy of Russians and a surge in patriotic feeling that followed Moscow’s annexation of Crimea from last year, people will bear less generous pensions, Kudyukin said. “The question is, for how long will they bear them?” he added.